Farmers in California’s Central Valley supply more than 8 percent of all American crops and produce a quarter of the nation’s food, including 40 percent of the nation’s fruits, nuts and other table foods. You may be surprised to learn that half of California’s fresh water is reserved by the state for environmental habitat, rather than human needs. People divide up the remaining half of the state’s fresh water not devoted to ecology. Urban users receive about 10 percent of the state’s fresh water. Farmers are allotted about 40 percent, and that’s insufficient for the state’s essential agriculture industry and the people they feed. During the most recent drought, more than 692,000 acres were fallowed in 2014 for lack of available irrigation water, according to the California Department of Water Resources. In the Golden State, farmers and the energy industry work together to sustain irrigation water supplies for productive farmland. In the Golden State, farmers and the energy industry work together to sustain irrigation water supplies for productive farmland. Local oil and gas producers like California Resources Corporation have brought a new source of water into the state’s water balance. These companies produce a mixture of oil, natural gas and water from underground oil and gas reservoirs to the surface. After separating out the oil and gas, they treat the water, called “produced water,” for recycling in their own operations or for other beneficial uses. Produced water originates in oil and gas reservoirs and is brought to the surface during the production of oil and gas. The oil and gas are separated out, and the reclaimed water is processed and treated before being delivered to water districts, where it is further blended with surface or ground water sources and then provided to farmers for irrigation. In the San Joaquin Basin in the Central Valley, produced water from certain geologic formations contains low salinity and can be readily treated for blending with water from other sources and use in irrigation or recharge. This reclaimed produced water has augmented irrigation water supplies for California farmers for more than 30 years, and today is a significant source of water for over 50,000 acres of cropland in the Central Valley. The California Regional Water Quality Control Board (Water Board) closely regulates the quality of the reclaimed produced water, as well as the blended irrigation water under specific state-approved permits. In fact, reclaimed produced water is monitored and regularly tested by an independent certified laboratory using U.S. Environmental Protection Agency (EPA) analytical methods to ensure that it meets the Water Board’s strict requirements. The California Regional Water Quality Control Board (Water Board) closely regulates the quality of the reclaimed produced water, as well as the blended irrigation water under specific state-approved permits. Governor Brown has asked all Californians to look for ways to increase the beneficial reuse of water to preserve fresh water supplies, water typically purchased from municipal sources, water districts and water companies. According to the U.S. Geological Survey, Californians use approximately 29 billion gallons of water per day. Oil and gas companies use little fresh water because they recycle most of the produced water from their oil and gas wells in their own operations. In addition, they treat and supply 16.3 billion gallons of reclaimed produced water each year to water districts and farmers to irrigate crops. Strict water conservation efforts help ease shortages, but more help is needed. Oil companies provide additional relief. Augmenting agricultural water supplies with reclaimed produced water preserves more fresh water for people living in cities and towns, as well as for environmental habitat. Oil companies provide additional relief. Augmenting agricultural water supplies with reclaimed produced water preserves more fresh water for people living in cities and towns, as well as for environmental habitat. Cities are exploring all options to increase available water. Los Angeles plans to work toward capturing urban runoff. Tree People founder Andy Lipkis, in a Forbes interview, said harvesting runoff could save 12 billion gallons of water annually in Los Angeles and supply 30 percent to 50 percent of that city’s water needs. To capture this water would require significant taxpayer spending on infrastructure. Meanwhile, significant infrastructure already exists in the Central Valley to deliver reclaimed produced water to agriculture. The state should expand this proven sustainable best practice. The oil industry’s support for agriculture extends beyond supplying water. Oil companies bolster farmers’ bottom lines by leasing mineral rights to their lands. Typically, mineral leases provide regular payments regardless of whether an oil and gas well is ever drilled. Later, if oil or gas production is established, mineral owners receive additional royalty payments. Drilling technologies like horizontal wells and pad drilling, allow oil companies to access underground mineral reserves with a small surface footprint. This means farmers and oil companies may work the same land simultaneously, providing a double benefit to farming families. The benefits are widespread: For instance, California Resources Corporation alone makes payments to over 22,000 mineral-rights holders, including many farming families here in the Golden State. 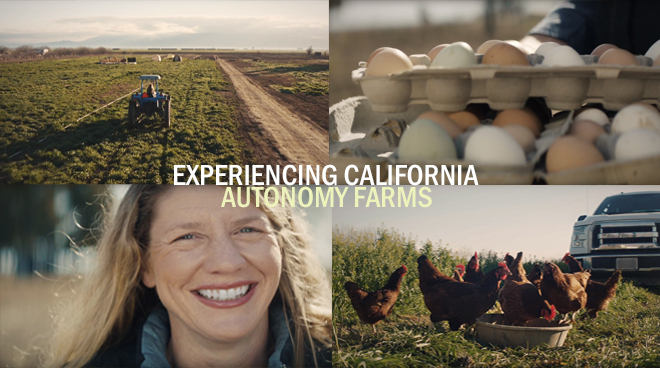 Oil and agriculture are two of California’s most important economic drivers, so it’s only natural that they work hand-in-hand to find solutions to nature’s challenges and meet the needs of modern society. Together, oil and agriculture can optimize resource use and conservation in ways that benefit all Californians and the environment.